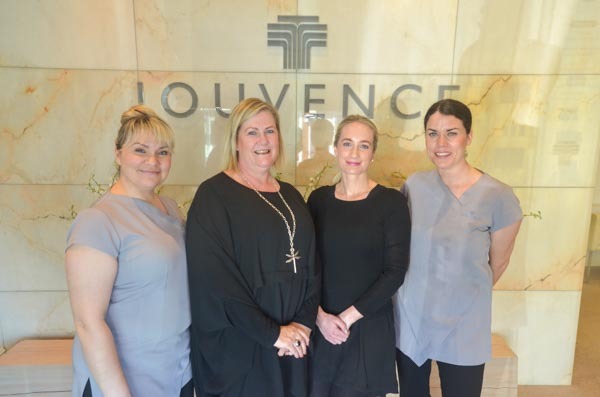 Jouvence Beauty Institute is an elegant and longstanding resident of Holmwood Road. Step inside this temple of calm and beauty to relax and be pampered by the experienced staff, where the extensive menu of treatments will leave you feeling like a goddess. Therapist Veronica Hardanava loved working at Jouvence so much she has become the owner. “It’s my privilege and my focus to consistently offer the best in beauty therapy,” she says. Jouvence is proud to be the flagship clinic for French skincare Sothys, legendary for its research and development and Veronica’s hand-picked experienced team is trained in the extensive specialised range of Sothys treatments, including Sothys exclusive modelling method, Digi-Esthetique. Spring always means rejuvenation and transformation, plus many of us are counting down to Cup and Show Week. New treatments are natural henna brow colouring which lasts up to six weeks and a deeply hydrating and nourishing paraffin treatment for hands and feet. The range of gel nail polish has now expanded to more than 80 colours! New to the menu just in time for spring is a spray tanning treatment. Special offers include: a lash lift (lash perm) with colour tint and an added nourishing keratin treatment for $50 and spray tan 20 percent off the usual price if you book within two weeks of this issue of Metropol. Cup Week customisable packages include any two for $75 or any three for $115 from: eyelash and eyebrow tint and tidy, spray tan, gel colour on hands or toes, makeup application. Phone 03-355 6488 for details and booking or visit www.jouvence.co.nz.